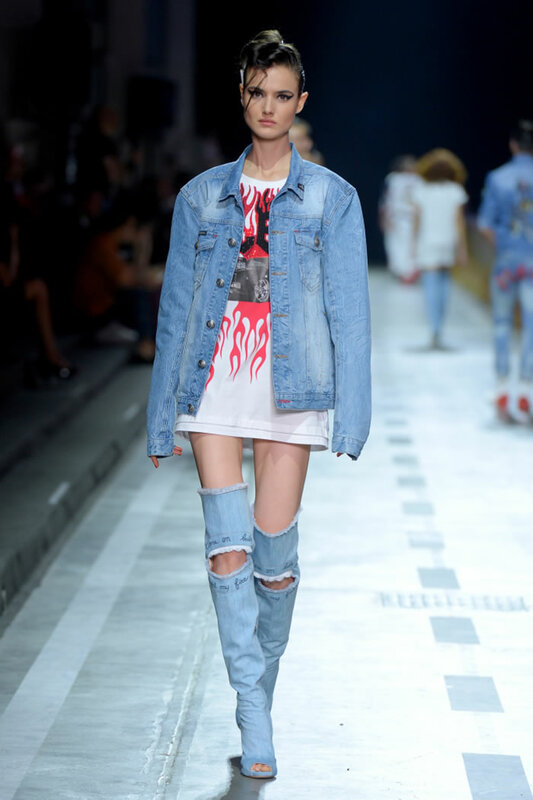 Have a look on all on Philipp Plein mens & women wear spring 2018 latest collection. Flames shot out from a barrier separating the set from the audience, then out roared the wheels with a procession of motorbikes, Ferraris, Lamborghinis and McLarens performing stunts and popping wheelies, pimped out with LEDs, color treatments and graphics. Jeremy Meeks sauntered down the adjacent runway with on his heels a run of Danny and Sandy clones puffing on cigarettes. 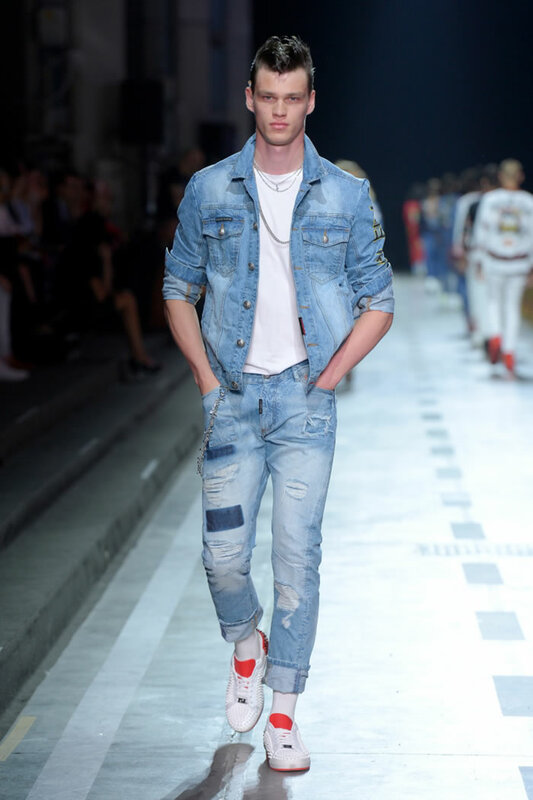 From white tracksuits splattered with badges with hand-embroidered crystal flames creeping up the ankles to hand-painted denim, studded bikers and a sequin jacket with a giant tiger motif on the back, the garb and accessories echoed the elaborate bodywork of the cars crawling alongside.